You can be forgiven if the barrage of fake news, accusations of fake news, threats of fake news, and disputes about fake news have sent your head spinning for the past year or two. Since the term fake news has invaded our national conversation only relatively recently, it is entirely understandable to desire to take a step back and learn more about the phenomenon and how we got to where we are. Kevin Young’s “Bunk” is a good place to start. Meticulously researched and densely written, “Bunk” was longlisted for the National Book Award for Nonfiction in 2017. To say that “Bunk” is timely is an understatement. 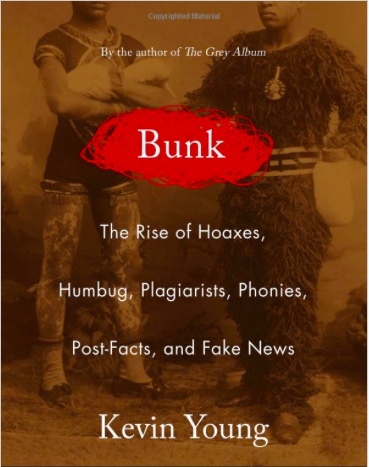 In “Bunk,” Young provides historical, national and international context for the world of fake news that we now seemingly and perhaps unwittingly inhabit. Young, University Distinguished Professor in the Creative Writing Program at Emory University and the Director of the Schomburg Center for Research in Black Culture, introduces the reader to his subject matter from a historical perspective, working his way painstakingly from P.T. Barnum and The Age of Imposture to the world we live in today, which, he writes, is “covered in haze.” William Dean Howells’ words to Edith Wharton, “What the American public always wants is a tragedy with a happy ending,” is how Young begins his narrative. The hook of the modern hoax, Young continues, “has been to separate the tragedy from that American happy ending.” The hoax, he asserts, is the very absence of truth. Newspapers were not historically immune to the hoax. In fact, Young writes, “the penny press was central to the circus.” Filled with “sensationalism as news,” the penny press presaged the current change demonstrated by the Internet. Young describes the “Moon Hoax,” in 1835, when the Sun in New York reported on men with bat wings, unicorns, and biped beavers walking on the moon, leading to much speculation and vast newspaper sales in New York and the rest of the relatively new nation. Of course, it wasn’t true. But, this did not stop other papers from not only reprinting but also confirming the story. Within months, the Moon Hoax “created the most popular newspaper in the world, and practically the very industry of the modern press itself.” What is remarkable about this example (and examples of other early hoaxes in “Bunk”) is that the widely disseminated “Moon Hoax” story – not bound by facts – was published in the 1800’s, confirming, if we were skeptical before, that there is precedent and history to our current era of fake news. Young shares story after story of hoaxes in our country’s history, from bearded ladies to Splitfoot to the White Shadow cowboys and aliens to Girl Wonders to American Indians to Rachel Dolezal, the woman revealed to have been “merely pretending to be black,” and more. Providing a sweeping historical perspective, he pays particular attention in this self-described “deeply researched story” to the use of race in the hoax, investigates the grotesque, shines a light on the forger, and touches on the Nazi collaborator. But, it is the American hoax that consumes the majority of “Bunk.” There is a powerful notion, according to Young, “that the American character is filled not just with tall tales and sideshows but also with con men and fake Indians, pretend blacks and impostor prophets, with masks and money.” The author clearly believes that the hoax has the power to bring great harm, not just to people but also to institutions. Young ends with President’ Trump’s “relationship to the truth,” which he writes “may at times seem as rocky and riotous as any other hoax we’ve known.” Trump, he writes, goes beyond even P.T. Barnum’s bunk because Barnum “did at least display actual people.” Trump instead “relies on phantoms. . . dead Muslim soldiers, desirous women, professional protestors, the blacks.” Whereas most hoaxes have “at least a wink about them, or a slight break in the façade,” Trump’s does not, according to Young. The haze, he seems to be saying, is here to stay. How to see past it? Young does not answer his own question. 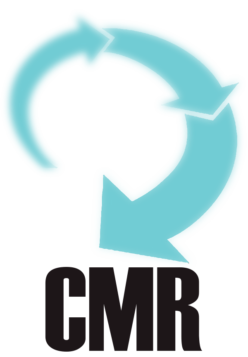 He asks, but does not answer this penultimate query: “What if truth is not an absolute or relative, but a skill – a muscle, like memory – that collectively we have neglected so much that we have grown measurably weaker at using it?” If there is one grand takeaway from “Bunk,” it is that the internet alone is not to blame for the hoaxes seemingly engulfing us today. 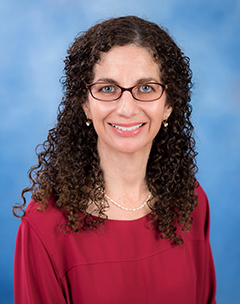 About the Author: Carolyn Schurr Levin, an attorney specializing in Media Law and the First Amendment, is a professor of journalism and the faculty adviser for the student newspaper at Long Island University, LIU Post. She is also a lecturer and the media law adviser for the Stony Brook University School of Journalism. She has practiced law for over 25 years, including as the Vice President and General Counsel of Newsday and the Vice President and General Counsel of Ziff Davis Media.